FireNEX-uLINKTM is the world's first USB 3.0 Active Repeater capable. The device requires no external power source, offers a 100% Plug and Play functionality, low power consumption, USB 2.0 backward compatibility, and USB3 Vision compliance. • Primium USB 3.0 ultra performance extension cable up to 40 feet/12 meter, extends the connection between computer or tablet and USB both 3.0/2.0 peripherals, including hard drive, USB Hubs, mouse, keyboard, printer, etc. 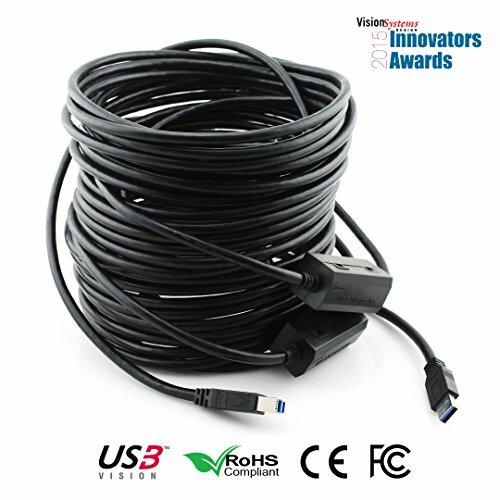 Primium USB 3.0 ultra performance extension cable up to 40 feet/12 meter, extends the connection between computer or tablet and USB both 3.0/2.0 peripherals, including hard drive, USB Hubs, mouse, keyboard, printer, etc.